GreenBeanTeenQueen: So You Want to Be a Teen Librarian? Growing up, my family went to the library weekly-sometimes daily-and we were always reading and surrounded by books. I attended storytimes, children's book sales, children's programs and participated in the summer reading program. But when my teen years came, there wasn't as much for me at the library. There was a small section of books (with SVH, Fear Street, Nancy Drew Files, and Sunfire Romances) but no programs or librarian specifically for me as a teen. I had such a hard time finding something to read and spent many days wandering aimlessly through the library stacks coming away with nothing. I really wanted someone to recommend a good book, but I was too shy to ask. -Enjoy working with teens. This sounds like a no brainer quality, but sadly, there are many libraries who assign someone to be the "teen" or "youth" person, yet that person really doesn't care about that age group-and teens know it. If you don't like working with teens, then why would you be a teen librarian? If you enjoy what you do and enjoy the age group you work with, it will show and it will go a long way in making teens feel appreciated and liked at the library. 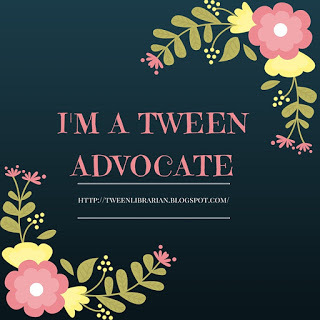 -You need to be an advocate for teens. As the teen librarian, not only is it your job to provide library service to teens, but you also need to be an advocate for why the library needs to serve teens. Not everyone loves working with teens (just like not everyone loves working with children or adults), so you'll come across staff members who don't think teens are important to the library-and it's your job to advocate for the teens. They have a place in the library just like everyone else. You also need to be prepared to advocate for teens to library patrons. You might need to ask people to leave the teen space if they are not with a teen and you'll need to advocate for the teens and their space. If you don't show support for teens, why would they come to the library? -Be accessible but also an authority figure-and give them respect. You're a teen librarian, not a parent, not a teacher, not a pastor. Be accessible to teens-be available to talk to them, but don't be so distanced that they don't feel accepted. Don't go around telling them their noisy or rude or glaring at them. My teens know me, they know that I fight for them and that I fight hard for their teen space. I'm happy to see them when they come to the library and they know that. I respect them and they respect me. I'm there in the library and I talk to my teens. Yes, I have things to do, but if I teen comes into my office and wants to talk for thirty minutes about school, life and books-I'll let them-that's my job and my teens are my number one priority. Because of this relationship, my teens take it much better when I have to tell them to stop running around or turn the music down. That's not to say that I never have to lay down the law-I do-but when that happens my teens respect me for it. -Know teen literature. Reader's advisory (or suggesting book for patrons to read) is a core service when it comes to teens. Contrary to popular belief, teens do read! In fact, at my library branch, I have over 950 teens participating in the summer reading program and my shelves in teen space are very picked over all summer long. I'm always amazed when I meet someone who works with teens, but doesn't read or know teen lit! How can you suggest books, give school visits and booktalks, and order books for your collection if you're not familiar with teen lit? Do you have to read every teen book published-no. But do you need to know what a teen is talking about when they come in looking for Cirque du Freak or a book with vampires, or the next thing to read after Percy Jackson-yes. I actually think reading teen lit should be a requirement for teen librarians-it's such an important part of your job and one of the main reasons you do what you do. I mean, we expect other specialized library staff to fully know their specialization (business, medical, law), why not teen librarians? This also comes with knowing what books are up and coming and being buzzed about, what books are going to have huge hold lists because there's a movie coming, and what books everyone will be looking for that aren't in so you can find something else to suggest. So read blogs, read book reviews, and read teen lit! You'll be better at your job if you do. -Know teen trends/pop culture. Again, does this mean you need to watch Jersey Shore, Pretty Little Liars, go see every Twilight movie made and listen to Lady GaGa? No, but you do need to have knowledge of teen pop culture. Knowing what a teen likes and what they're talking about can go a long way and make a teen feel like you're someone who understands. When I gave a school visit and asked the teens if they watched Deadliest Warrior and booktalked a book that was similar, my cool quotient went up. Teens like knowing that you care about what they care about. Now, just because you walk up to a teen and start talking about Snookie and The Situation doesn't mean they're going to think your cool automatically-teens know when you're trying too hard. But I can't tell you how embarrassed I am if I teen comes into my library and asks someone for the latest Taylor Swift CD and you don't know what they're talking about. I love the VOYA pop culture quiz and of course, talk to your teens and find out what's popular. Every few months I have a Teen Library Council meeting where they fill out a "hot/not" list and we watch YouTube videos. I call them my "teen brain" and they give me insight into what's cool, what's not cool and what's popular with my teens. -Get advice from your teens. Teens love to share their opinions and will happily tell you what they like and don't like. So when you're planning teen programs, making a booklist or ordering new books for your collection, ask your teens. I have a formal Teen Library Council that meets once a month and gives feedback and helps me plan programs. I also talk to the teens in my department and ask them for ideas and suggestions. I've handed out paper surveys and asked teens when I'm at their school for a school visit what they would like to see at the library. If the teens tell you they want something-try your hardest to make it happen. I can't do everything my teens want-I can't host a haunted library as big as they want because of that horrible word budget. But I can plan an anime mini-con, Teen Night after hours, and other events they've asked for. -Join YALSA, state library associations and network. I'll admit it-sometimes being a teen librarian can be hard and sometimes lonely. If you're the only teen staff at your library it can sometimes feel like fighting a battle that no one else cares about. I was at a conference once where the speaker said that teen librarians are moody and emo and love to complain that "no one understands them"-and that stereotype can sometimes feel true. That's why it's so important to network, network, network! And YALSA is the best for that. Join the YALSA-listservs and get advice and feedback from other teen librarians. When I have a programming problem or I want to know how other libraries handle adults in the teen space, I can post on the YALSA-listserv and get feedback and support from others who understand. If you can attend conferences (state or national) and talk to people-hand out business cards, attend events, volunteer for committee work. These are people you can turn to for advice and who will have your back when you need support for teen services. Being a teen librarian is not a cushy job and it's not easy-it's a responsibility to provide library services to teens, to advocate for teens, and to build the next generation of library patrons. But I absolutely love what I do and I wouldn't have it any other way. Any advice from other teen librarians? Or are you teen-what do you want your teen librarian to know? Wow 950 teens for your summer reading program. I don't think there are even that many in my two towns. This was a great article and I definitely agree with your points, especially about liking the age group. The librarian at our middle school despises kids and whenever I go to talk to her she just seems really irritated and doesn't want to buy books they've asked her for because she doesn't think they are good literature. Being a teen librarian is such a privilege for people who really love to see kids not walk out the doors empty handed. I'm blessed to have enough teens come in that are easily persuaded to check out all my recommendations. Great post Sarah! This is exactly why I love working with teens. thanks for so succinctly narrowing it down. And hey, it's just fun! I figure if I can't enjoy my job, something is wrong. Great post! I am a high school Teacher Librarian and love my job (I've been doing it for 2 years after teaching history/government for 14). I love the variety, the challenges, the students, the books, and the technology! BrittLit-I never understand the people that take jobs with age groups they don't like! It really makes me mad and it reflects bad on the profession. I work hard to make sure my teens know that I'm here for them and that I like them! Sarah-Yep, I agree-if I don't like what I'm doing and I'm not having fun, then what's the point? You have to enjoy your job. Helen-You list all the reasons why I love my job-the variety, the challenges that come with it and the fact that you never know what each day will hold. And of course the students are the best part-I love talking to them and finding books for them to read. oh, and random...but I sent an email. let me know if it didn't get to you! Thank you, thank you, thank you for your post! Most people wrinkle their noses when I say I am a high school Librarian, but I love my job! I think it is such a great and exciting time in YA Lit right now, and I get to be a part of it. I love my kids as I can see you clearly do. I LOVE being a teen librarian. I know that one of the things I need to work on is involving more boys: in programs, in book displays, and in book purchasing. Many of the books I read are primarily aimed towards girls, so I need to be a bit careful and change it up so I can help out the boys too. Same goes for displays and programs. I had a spa night program over the summer and then I had a bubble rocket program for balance. It's not always easy and I always catching myself being lopsided before changing things up, but it's something that I'm working on fixing. Also looking into a network in the UK. Great post! That is exactly why I went into Youth services. My library is small so I do both children's and teens, but I love working with my teens. I thought this summer was going to be a little rough, since I just started my position in May, but I have been amazed at the number of teens who have welcomed me and also helped me throughout the summer with my kid's programs. Plus they love that I ask them what programs they want and what books to order. Working at a teen librarian is the best job in the library (in my humble opinion).